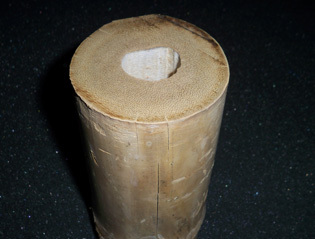 Tre Gai Bamboo hails from Vietnam. 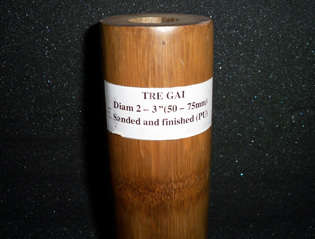 Our Tre Gai poles are pressure treated and have a high level of structural integrity. 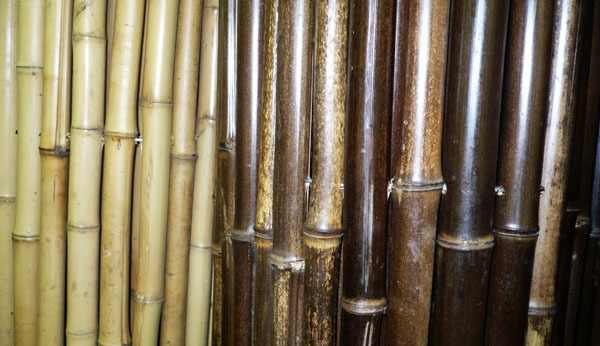 This species of bamboo is ideal for construction projects and is widely used throughout Asia. Call us if you have any questions (916) 663-9721. Jungle Supply Company grows some of the largest Japanese Timber and Moso Bamboo in the United States. Both species are members of the Phyllostachys genus of bamboo. It is a beautiful bamboo to work with and is useful in both decorative and construction applications. 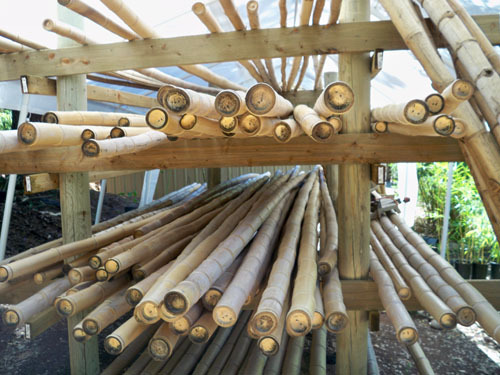 All of our Japanese Timber poles are California grow and of the highest quality available. We carry both dried and green poles. Black bamboo is one of the most popular varieties of bamboo for its natural beauty. The poles of Black bamboo can be used for a wide range of decrotive and artistic projects. All of our black bamboo is grown here in California. Tom Vang Bamboo poles are imported from Vietnam. This is some of the thickest bamboo known to man. The culm walls are practially solid in some parts. Pricing on Tom Vang varies, call us for an estimate at (916) 663-9721.